Boat trailers have to be built tough. The constant weight of a boat, the strain of a bumpy road and harsh salt water are just a few of the things your boat trailer has to withstand. When you buy a good trailer, none of these factors will be an issue. However, there are still a few things you can do to keep your trailer in good condition. Boat trailer maintenance is just as important as boat maintenance itself. That is why we have listed 5 essential boat trailer maintenance tips you need to know. When it comes to boat trailer maintenance tips, this is the golden rule. Whenever you take your boat into a marine environment, you have to remember that salt water corrodes. Well-built boat trailers can hold up against the harshest marine environments. But if you do not wash yours with fresh water, rust will eventually catch up with it. A good wash down fresh water is even important for alloy trailers. Although alloy doesn’t corrode in the same way as steel, there may still be steel components on the trailer. Without a good wash down, they can quickly fall victim to rust. Almost every boatie will have a story about bearing failure. Because you cannot see wheel bearings without taking them apart, they can deteriorate without anyone noticing. This can be catastrophic. There is nothing worse than seeing a trailer wheel wobbling free on the highway. Fortunately, replacing bearing kits is relatively straightforward. With the right tools, you can do it at home. But for the best peace of mind, you should take your trailer to a professional for bearing replacement. 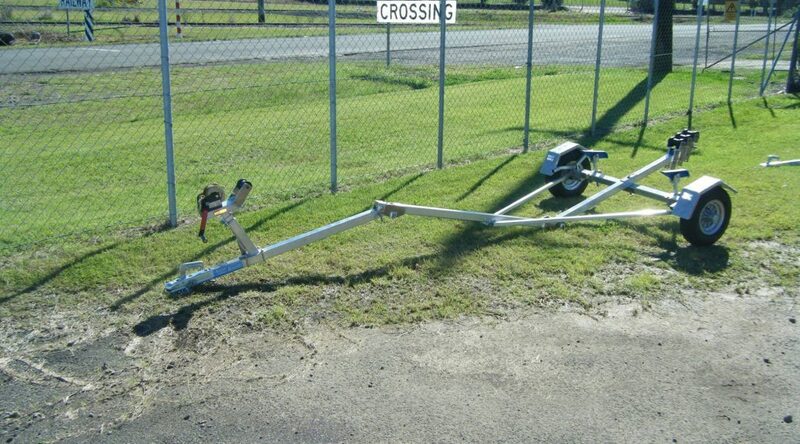 If you forget about the first boat trailer maintenance tip, your rollers might rust and seize. This makes them ineffective. It can also lead to damage to the hull of your boat. As the central pin of the rollers rusts, it also expands. In turn, this can split the roller. A split roller is at risk of falling off, which would result in even more damage to your hull. Tyre pressure is important for trailers in the same way that it is important in cars. A tyre with low pressure faces an increased risk of puncturing. If you have a single-axle trailer, a punctured tyre will skew the balance of your entire trailer. At speed, this can be dangerous. What’s more, the recommended pressure of some trailer tyres is supposed to be higher than that of a standard car tyre. Always check the recommended pressure when checking your trailer tyres. Trailer lights are important for the safety of all road users. As boat trailers are constantly subjected to marine environments, wires and electrical components can easily corrode without proper care. By checking the indicators, tail lights and brake lights on your trailer, you can avoid dangerous situations on the road. You can also avoid potentially hefty fines. If you follow these five boat trailer maintenance tips, you can minimise your chances of coming unstuck on the road. For more boat trailer maintenance tips, get in touch with the experts at Almac Trailers today on (07 4152 3737. Previous PostHow To Load A Boat On a Trailer By YourselfNext Post4 Reasons You Need An Outboard Trolley!